Hardwell recently unveiled the video to his latest single ‘Echo’, the second to be taken from his debut artist album ‘United We Are’, which hit the #1 iTunes spot in his native Holland upon release, while also hitting #2 worldwide. Combining some big synth hooks, percussion, and the soulful vocals of Jonathan Mendelsohn, ‘Echo’ is a mainstage track with something of a dark side. Behind the big hooks and high energy, the lyrics and video portray a heartfelt story of lost love. Set against a winter landscape, the video tells the tale of a widower taking a journey through his past, with a little help from a friend. Following the release of ‘United We Are’, Hardwell’s name is generating more fervour than ever before. This follows another successful trip to Miami, which saw him win a total of five IDMA Awards, which included ‘Best Global DJ’, ‘Best Progressive House/Electro DJ’, ‘Best Podcast or Radio Mixshow DJ’, ‘Best Electro/Progressive House Track’ and ‘Best Album’, and all topped off by a sold out Revealed party at Story and a headline performance at Miami’s Ultra Music Festival. He is now set to take his main stage sound to headline slot at Tomorrowland Brazil on Friday 1 May, before hosting his own Revealed arena the following day. 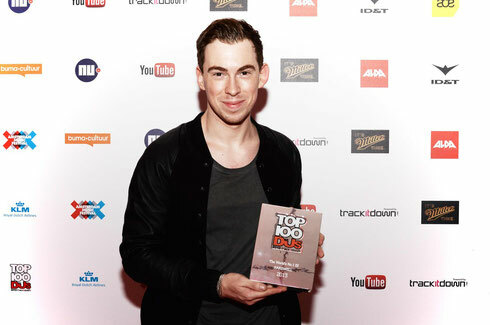 The rest of the summer sees him take his various brands to all four corners of the globe, with his I AM HARDWELL tour set to take in Singapore and Bangkok in May, more Go Hardwell Or Go Home shows at Las Vegas club Hakkasan, and headline slots at EDC NYC, EDC UK, Ultra Europe, Tomorrowland and Creamfields, the latter two also playing host to Revealed stages. ‘United We Are’ is available now in both physical and digital formats, check it below.